Many people wait until they’re experiencing tooth pain to go to the dentist. But we prefer to help our patients avoid discomfort in the first place. At our friendly and welcoming practice in Scarborough, we emphasize the importance of teeth cleaning and preventive dentistry, while educating our patients on how to maintain proper oral health between visits.  By offering our patients detailed, comprehensive oral care, we try to help them avoid common issues such as tooth decay, gum disease and other unwanted conditions. Regular dental cleanings at our office will improve your oral health by removing plaque and bacteria buildup from hard-to-reach places. This preventive approach to dental care is designed to save you discomfort and the high costs of more intensive procedures down the road. We’re also strong believers in patient education. We want to empower you to maintain your oral health at home through proper teeth cleaning techniques and the use of products designed for your specific needs. But regular teeth cleaning is about more than having a great smile. Over time, poor dental hygiene can also contribute to larger health issues such as diabetes and heart disease. With convenient office hours and friendly, compassionate staff, Dr. Ron Richardson & Associates is the place to go if you’re looking for a practice in the Scarborough area that provides thorough and comprehensive preventive dentistry. For more information or to schedule a teeth cleaning appointment, call us today.